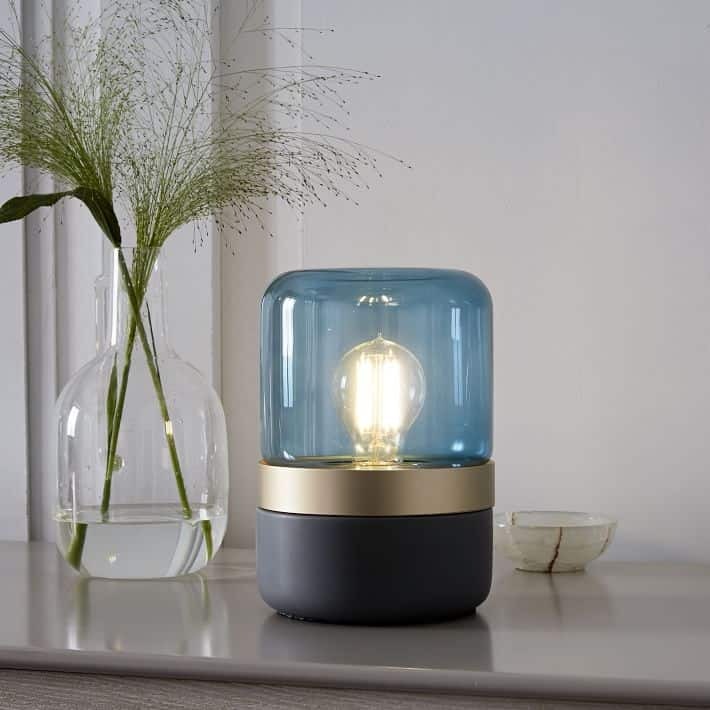 From the living room to the nightstands in the bedroom, some extra lighting is key to a rounded out and functional space. But that doesn’t mean that necessity inside those areas needs to be boring. 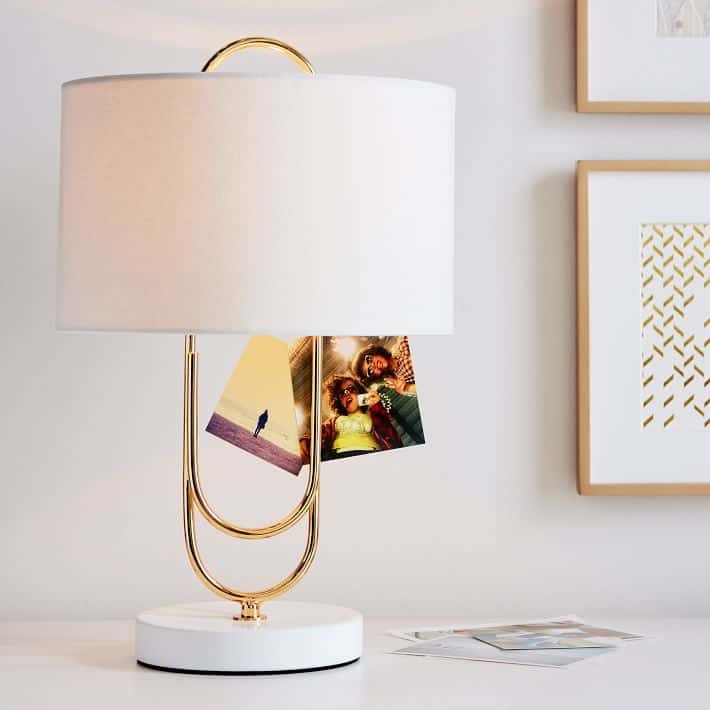 Instead, check out these 15 super cool lamps that will amp up your side table style by just adding it to the scene. Our favorites our below, let us know which one strikes your fancy! Target stopped us in our tracks with this golden unicorn lamp. Whether it’s in the kiddo’s room or on the desk in your office, this will definitely make a fun statement. And it’ll combine well with colors and neutrals alike. 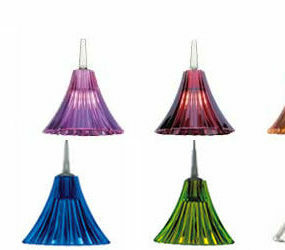 Over at PB Teen, you’ll really find the perfect desk lamp. Your teen will love doing homework at her desk with this addition. And you’ll love this at your own desk too as you can add family photos or to-do lists to the clipping. 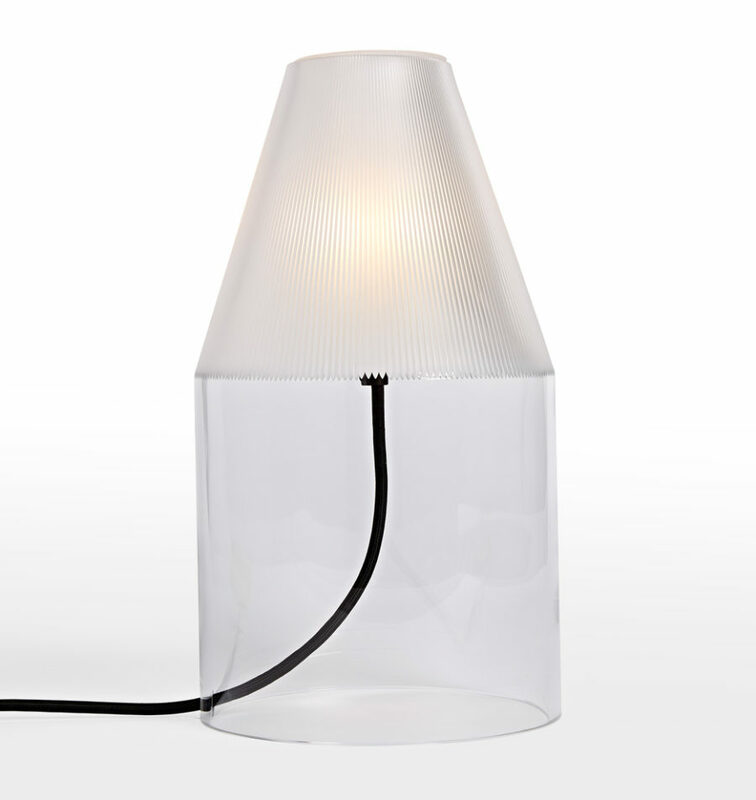 Here’s a mixed material desk lamp from West Elm that we’re really digging as well. It comes in a gorgeous shade of midnight blue, light bronze, and a dark gray finish that’s quite versatile and romantic. 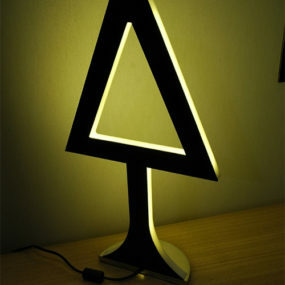 We love how this is a smaller design as well, making it perfect for desks, hallway tables, and the like. If you’re trying to create a space filled with fun and youthful spirits, check out all the options that Urban Outfitters has to offer. 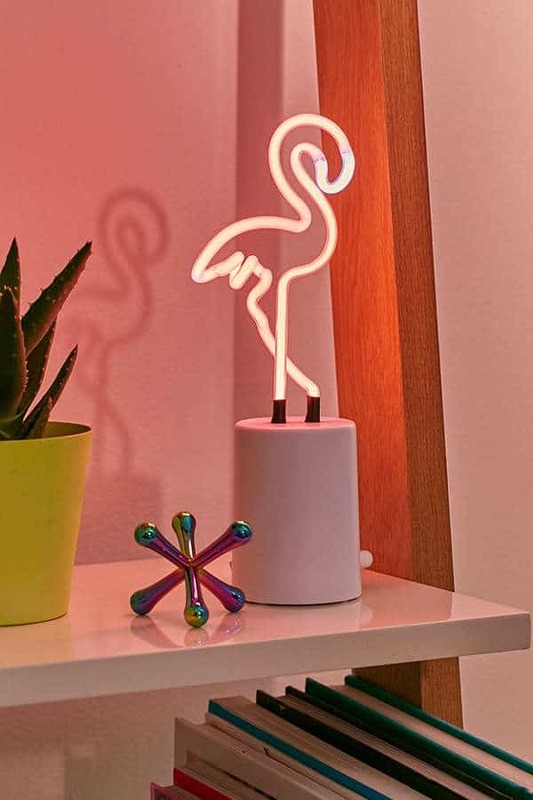 In the meantime, we’re featuring this flamingo lamp because we love its easy charm. 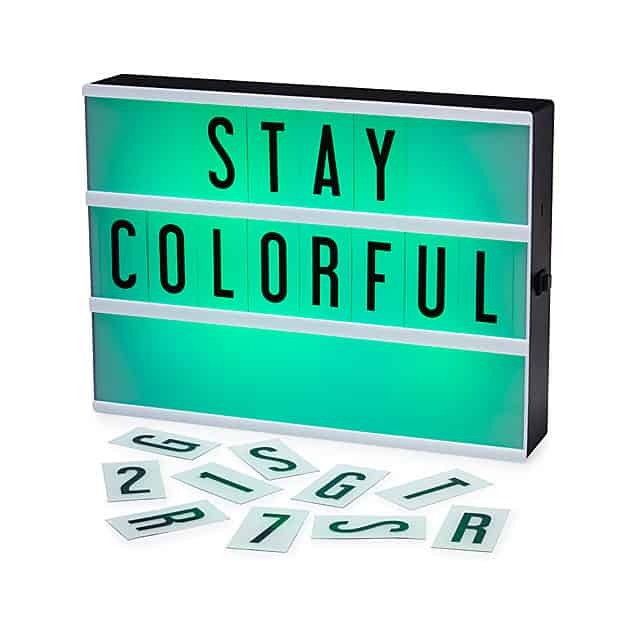 It’s a great addition for dorm rooms, apartments, or teen bedrooms, don’t you think? 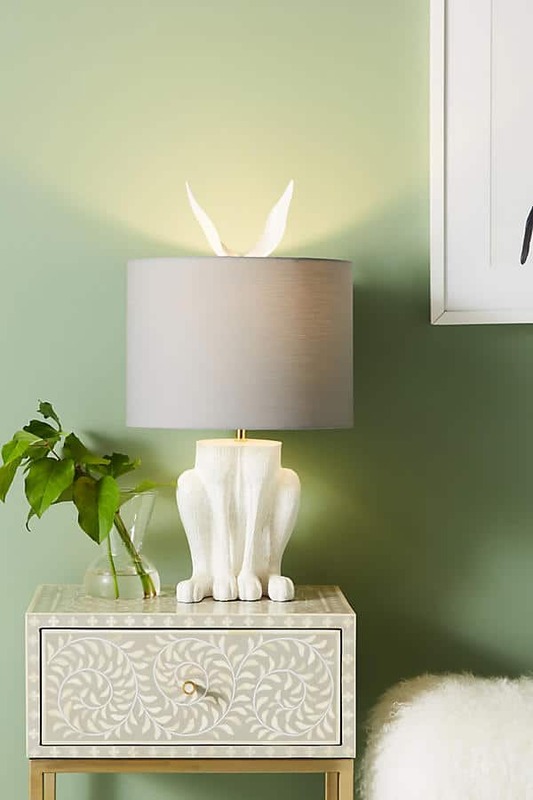 Anthropologie gave us this “hare” lamp that would be a unique addition as well. It’s abstract, it’s surprising, and definitely a conversation starter as well. 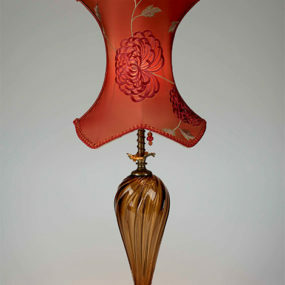 For a table lamp, it’s a bit on the pricy side but it’s also like you’re buying a piece of art with this one! Feeling like sprinkles on top of your ice cream sundae? 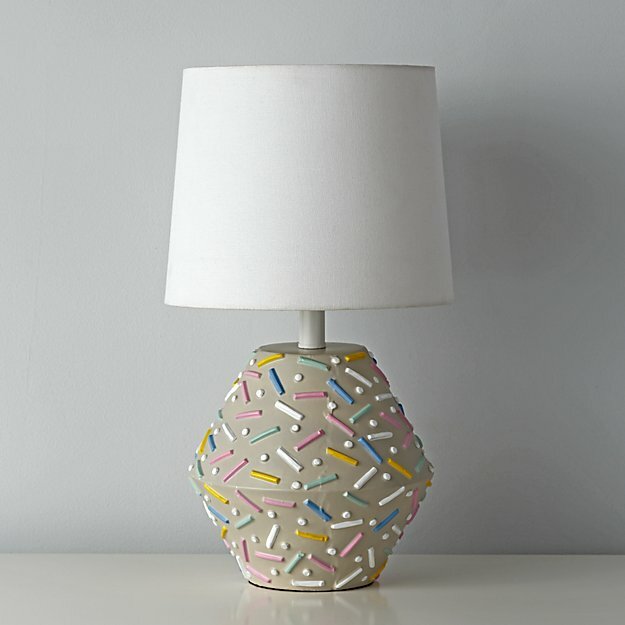 Well, you can have sprinkles any time of the day with this lamp! Check out this design and more charming options over at Land of Nod. If you’re looking for something really unique and quirky, then check out this one over at Uncommon Goods. 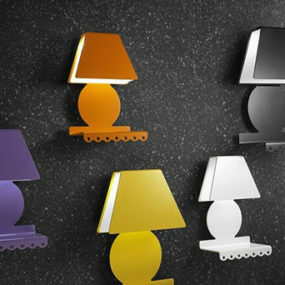 It’s a great idea as a gift or to jazz up your home office some. Grab the details after the jump and see if it fits your needs! Do you have any dinosaur lovers in the house? 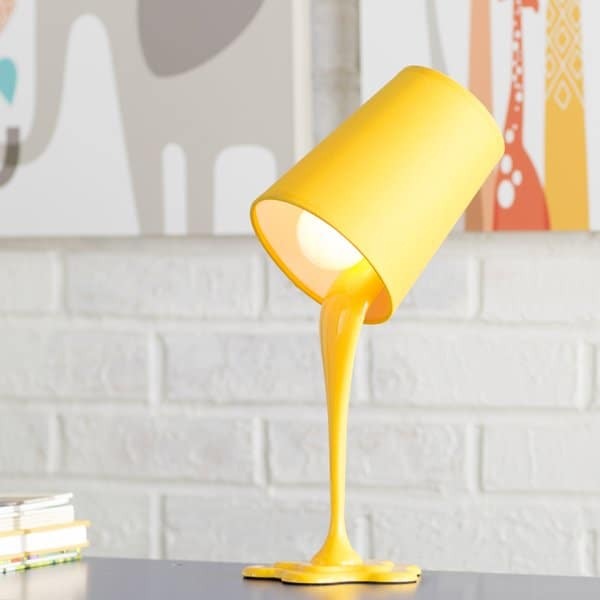 Well, if so, check out this fun table lamp over at Modcloth. 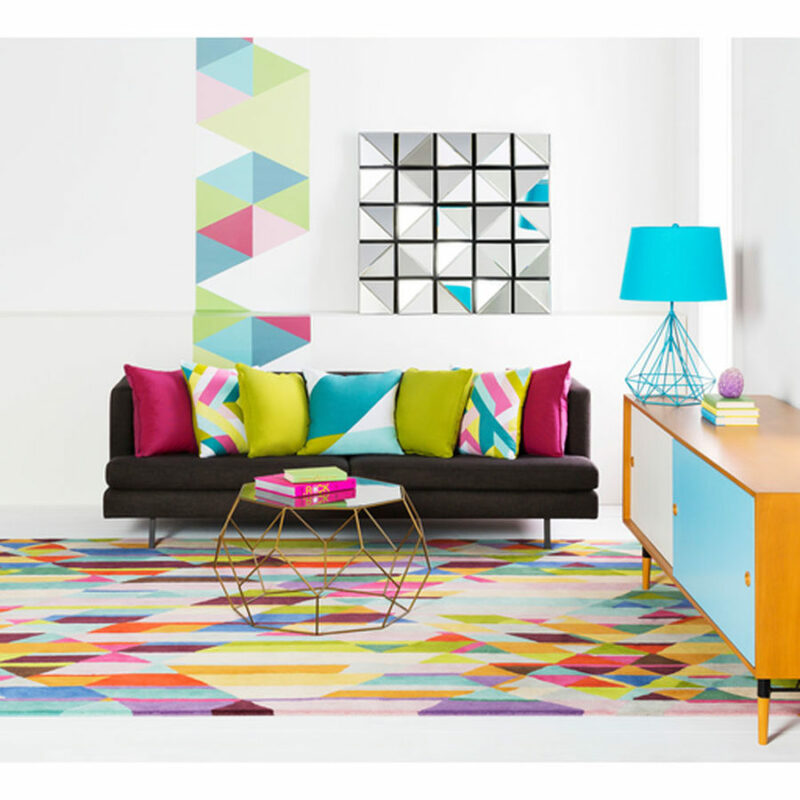 The boys’ room, the playroom, or even in a dorm room, this one will definitely create a splash. 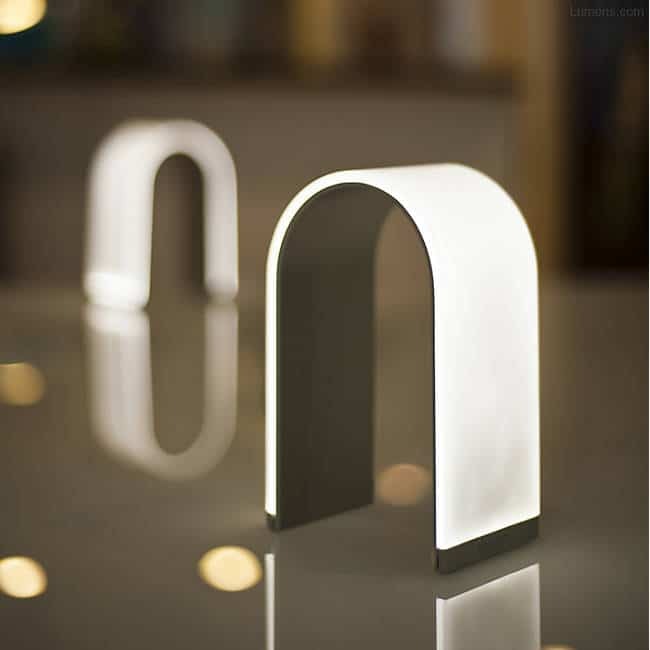 Lumens has this modern, sophisticated design up their sleeve. We love this for every and any room of the house. 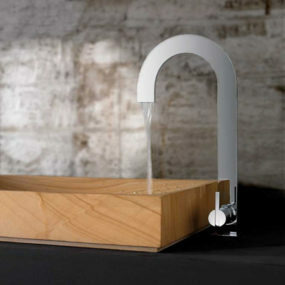 And it fits perfectly inside ultra contemporary spaces. 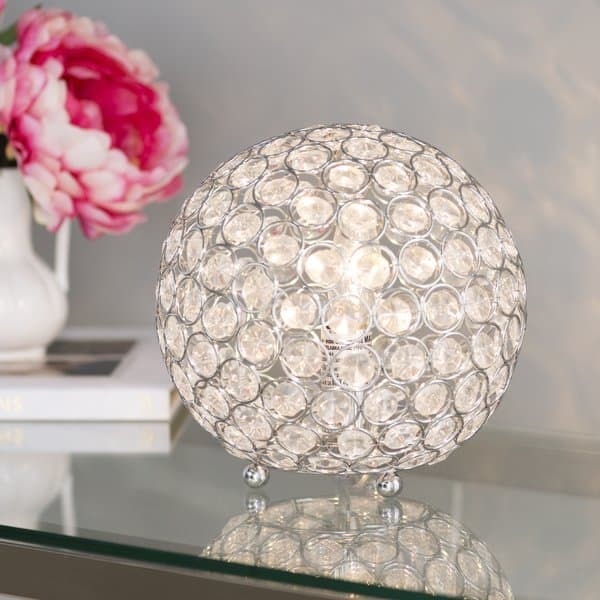 If you’re looking for a bit of glam then this “crystal ball” from Wayfair may be exactly what you need. Perfect for beautiful bedrooms or home offices that have a modern, feminine touch, it will definitely amp up the “formality” of the space with ease. 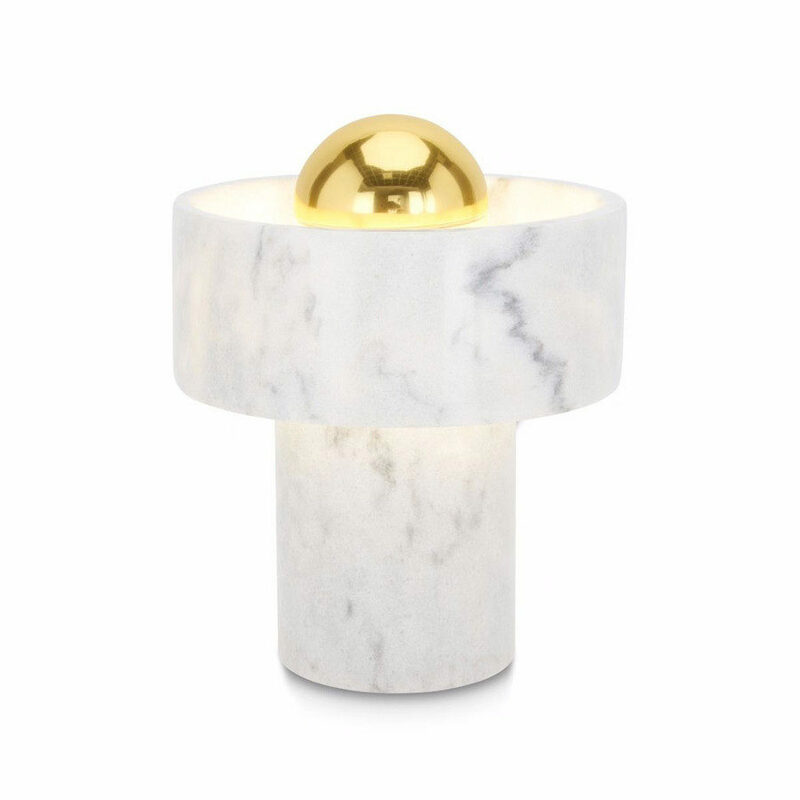 Are you a big fan of marble? If so, then this design from A & R is exactly what you’ll want to take a peek at. And it’s right on trend with both minimalistic and contemporary styling! Maybe you prefer a bit of color. 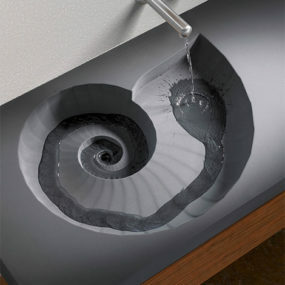 If so, we’re loving this geo-inspired piece found over at Pfeiffer Studio. It’s got a modern base and a traditional topping that will fit into a variety of spaces, especially those with a lot of color and youthful appeal. Well, if there’s one this this design is it’s definitely unique! 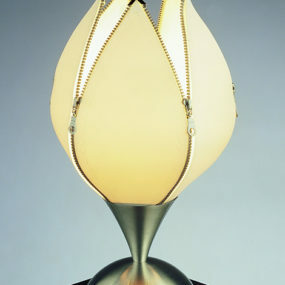 When this lamp is on, the look was inspired by the simplicity of fire. 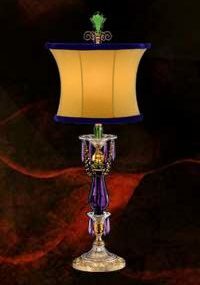 Check out more details behind this table lamp after the jump over at Rejuvenation. Hop on over to Joss & Main and check out this fun, “spilled paint” design. 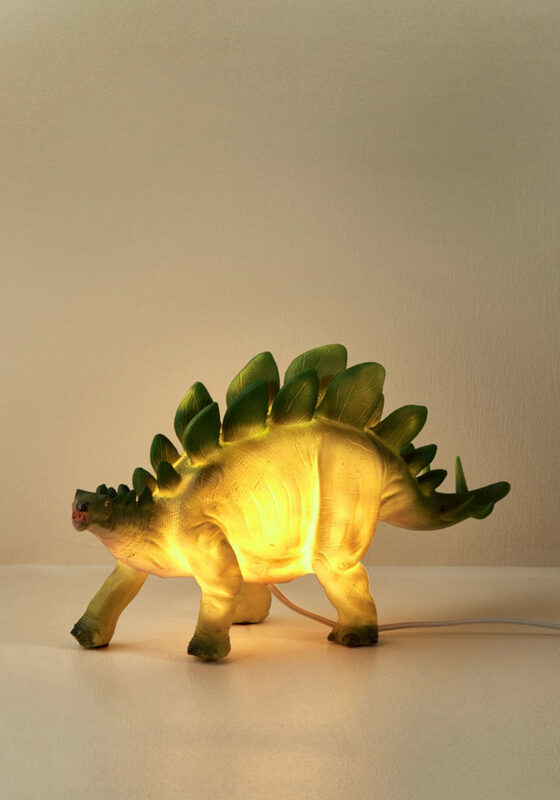 It comes in a variety of colors and we can’t think of a more perfect table lamp for our craft room than with one of these cuties. It’s great for a kid’s room or playroom as well, don’t you think? 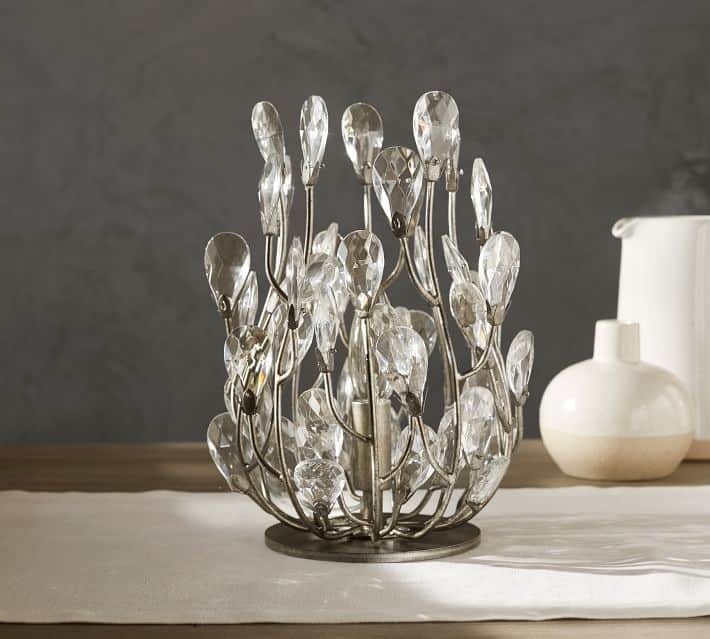 And finally, here’s another gorgeous, glam beauty that we found over at Pottery Barn. The crystal and the nickel make it a more sophisticated and pretty look. 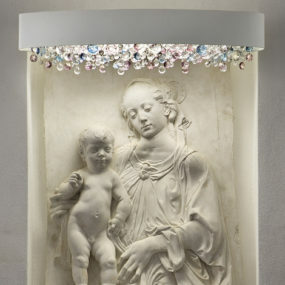 And it will certainly double as a piece of table art just as much as a lamp for your home.